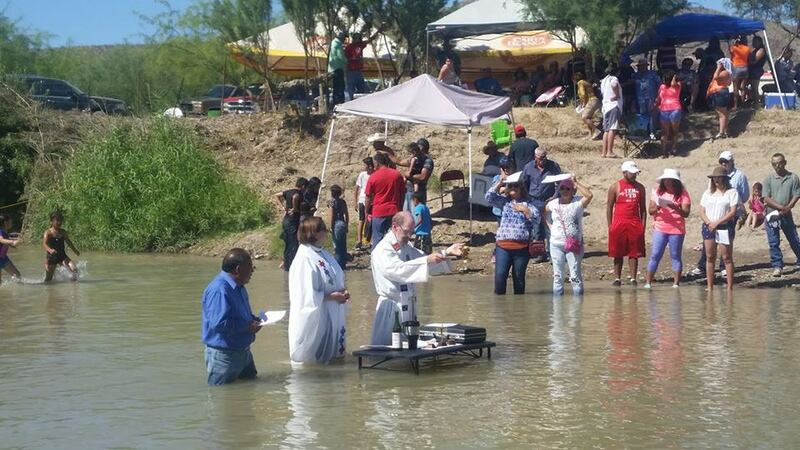 Just celebrated Holy Eucharist in the middle of the Rio Grande River at the Lajitas Voces de Ambos Lados, Voices from Both Sides Celebration. Had a wonderful and blessed time. At the early church service back home in Silver City, he was asked about the water temperature of the river. He said it was brisk, a good contrast with the 85 or 90 degree F air. But it didn’t stop people from taking part! The following Sunday, Father Paul’s sermon told quite a bit more about what happened at Lajitas.